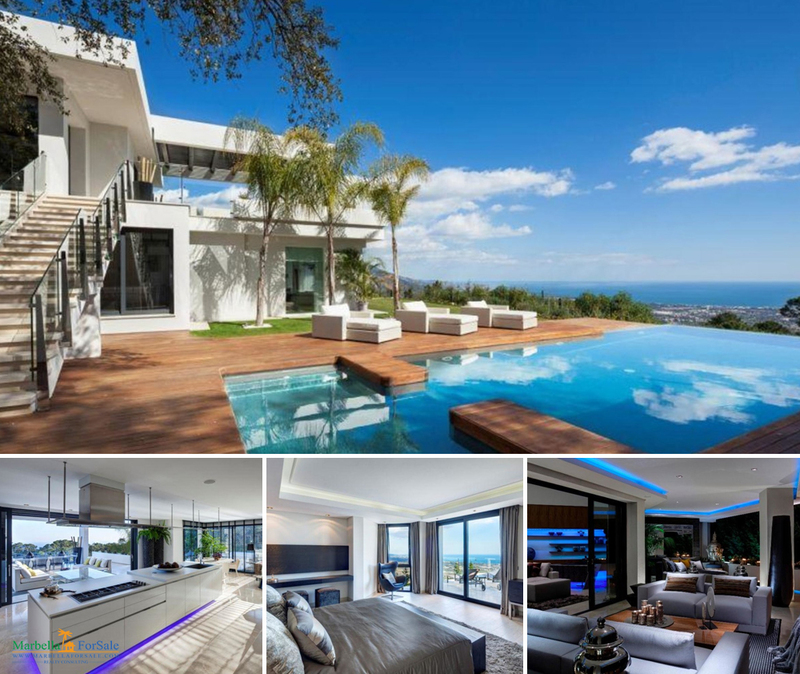 This contemporary villa was built using the latest technology with brethless views to the coast. The rooms are flooded with light and have a wonderful view of the coast. 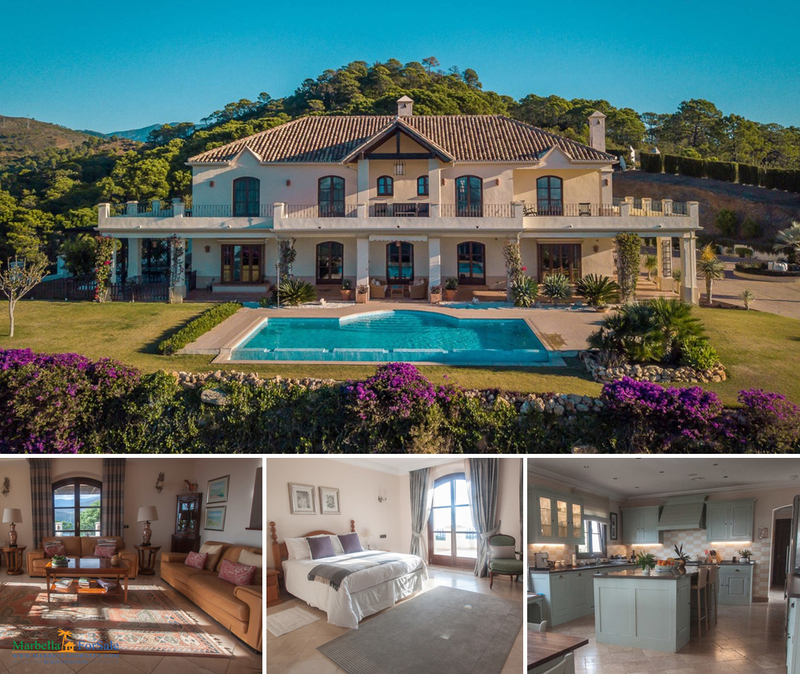 Majestic country property found in the mountain area of Estepona with breathtaking views of both mountains and sea. There is a private electrically controlled gate. 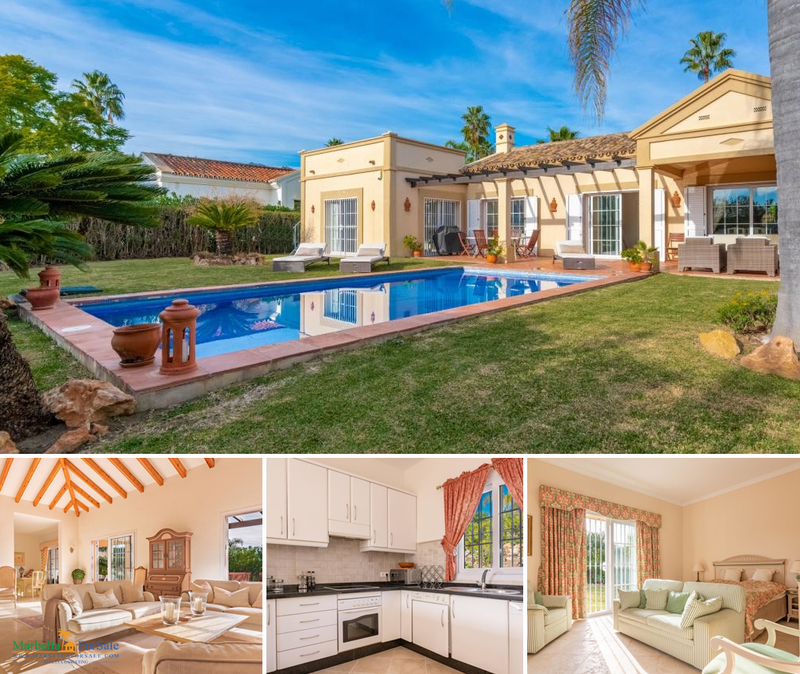 Picture-perfect villa for sale in Guadalmina Baja. With 5 bedrooms and 5 bathrooms, this spacious property sits on a generous plot with lovely garden and pool. Lovely two level villa in a sought after area in Elviria. 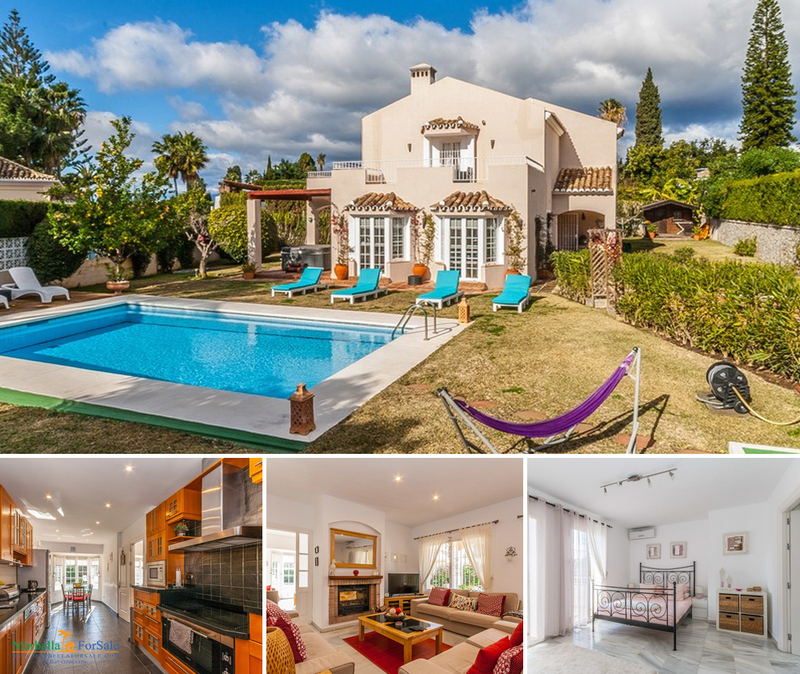 This property offers 5 bedrooms and 4 bathrooms on a spacious plot with private pool. Set in the prestigious residential area of Guadalmina Baja, this white & black sophisticated property boasts timeless Mediterranean elegance. 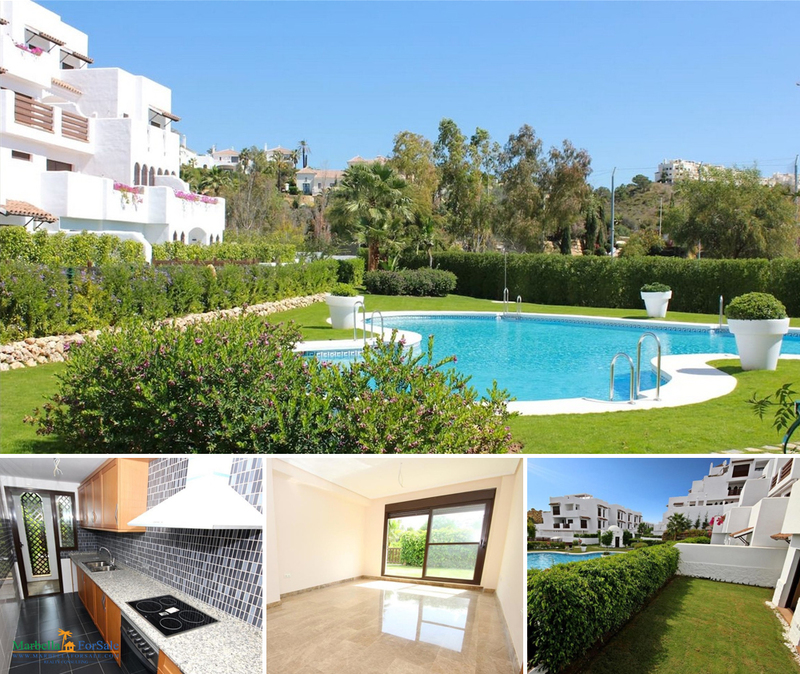 Call +34 952 907 386 or email info@marbellaforsale.com today for more information or to view this fabulous property. 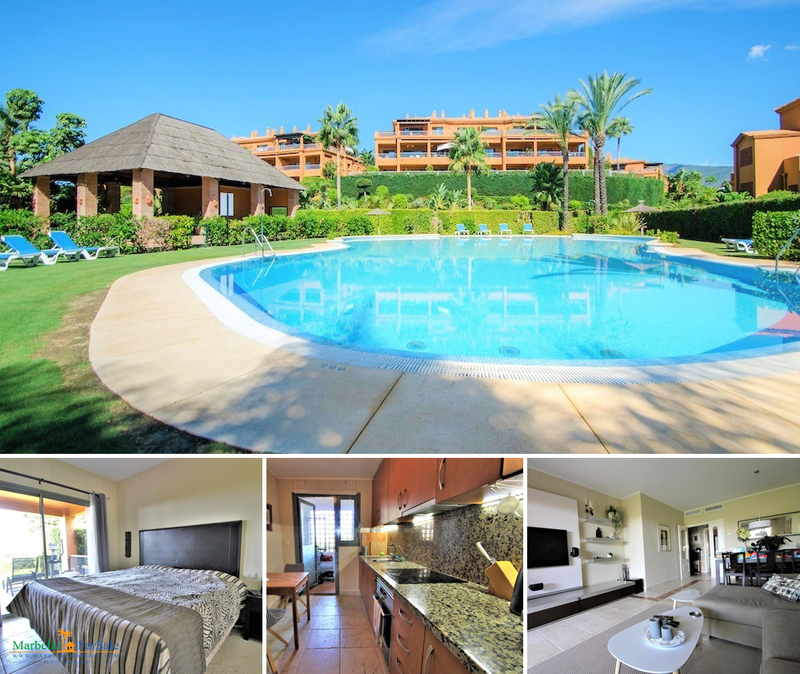 This beautiful first floor apartment is situated in one of the most exclusive developments in Golden Mile Marbella. This elegant and modern apartment consists of a large, fully equipped kitchen. The manicured gardens also house several outdoor pools with views to the La Concha mountain and the sea. Beautiful apartment on the ground floor with 2 bedrooms and 2 full bathrooms, one en suite. From the entrance is the fully equipped kitchen with laundry room. Then we have a spacious living room with independent exit to the private garden. It should be mentioned that the complex offers security 24h. Great opportunity to purchase a brand new property (only 3 years old), never lived in, in the up-coming area of La Resina Golf. The property consists of 2 bedrooms and 2 bathrooms. The position of the apartment within the complex, next to the swimming pool, and the complex position near the famous Selwo park, make it ideal for holidays. 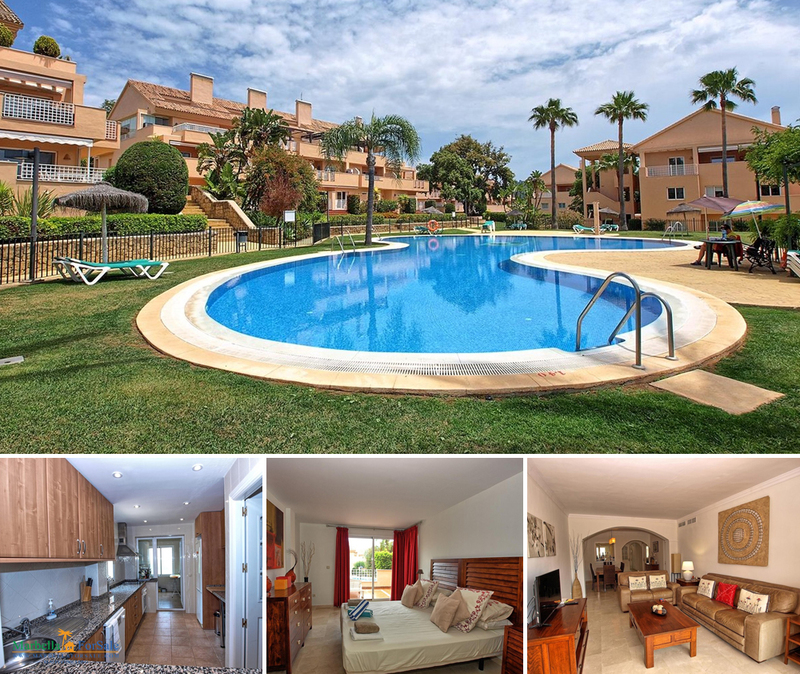 Lovely 2 bedroom ground floor apartment located in a very sought after and extremely popular Urbanization called Los Jardines de Santa maria Golf in Elviria, East Marbella. The total buit area is 158m², the internal built area excluding the terrace is approximately 113m². The property consist of 2 bedrooms and two bathrooms, one of which is an en-suit.